Sheila Johnson, entrepreneur and Washington Mystics WNBA owner, and Street Soccer USA announced the first ever all women’s street soccer program for women ages 15+. Women from homeless service sites across the USA will come to Washington, DC to try out for a national all-women team July 30th - August 1st at the SSUSA Cup. 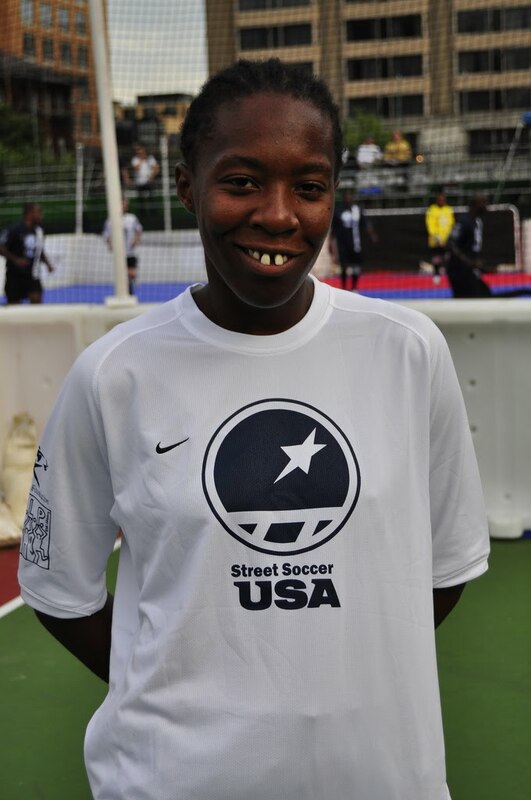 Upon the culmination of the SSUSA Cup, an all-women team will be chosen to go on to represent the United States at the Homeless World Cup in Rio de Janeiro, Brazil in September. 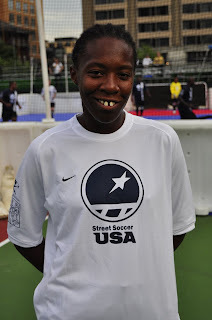 In 2009, Street Soccer USA took just one woman to the Homeless World Cup. That participant, Ebony Wright of Charlotte, encourages the women’s initiative, “Being the only girl was tough, real tough. I think more of us would get involved, bond together, and try to improve ourselves if we had our own team. The first all-women team is an awesome idea. It’s going to mean a lot.” After three years of homelessness, Ebony joined the SSUSA program and committed to her goals, which have included finding work and moving into an apartment. This year the 64-nation tournament features 16 women’s teams! Among the female players this year is an 18 year-old named Jasmine from Minneapolis who has been living couch-to-couch and in shelters since she was 16 years old. Since joining the team 10 months ago, Jasmine has enrolled in college for the fall, found employment, and is looking forward to moving out of the shelter soon. “I’m going to continue playing soccer because I love the game and during my hard times, soccer was there for me. In soccer, like in life, I never give up until I reach my goals,” Jasmine says. The women team competing in Brazil will be called the “Lady Salamanders”. In world mythology the salamander represents strength, courage, and fortitude, all necessary components to overcome great obstacles and create social change.